Super Lovely Planet is a 3D platformer, one completely void of boss fights, guns to shoot, and collectibles. No wait, that’s not quite right. It does actually have collectibles. Just not any of that other stuff, and yet, it looks like a game overflowing with fun times. Provided you enjoy going fast, being restricted to moving and jumping, and of course, don’t mind platformers in the third dimension. Because for some reason, a lot of people really do. Big time. Their loss, though. Come to think of it, Super Lovely Planet did just get Speedrun Mode patched in, so… yeah. Definitely a title made for those who enjoy going fast, as fast as humanly possible, faster than everyone else. So kinda like the 3D Sonic games, only not completely terrible and noticeably more minimalistic. Oh, and in case simply timing your movement and jumping at the exact right time isn’t enough to really speed things up, how about a shortcut or two? Or ten? Or fifty? I don’t know if the game has that many, but it sounded good in my head. All that and, well, a ball protagonist. What? No. ‘Ball’, not ‘bald’. I mean, it doesn’t really have any hair… anywhere… far as I can tell. Right. Anyway, you’re a ball in this one, and a bloody bouncy one at that! If you don’t believe me, trailer’s just below this very paragraph, showcasing the pure madness from having a yellow circular figure play the main part in a 3D platformer. Boing boing? 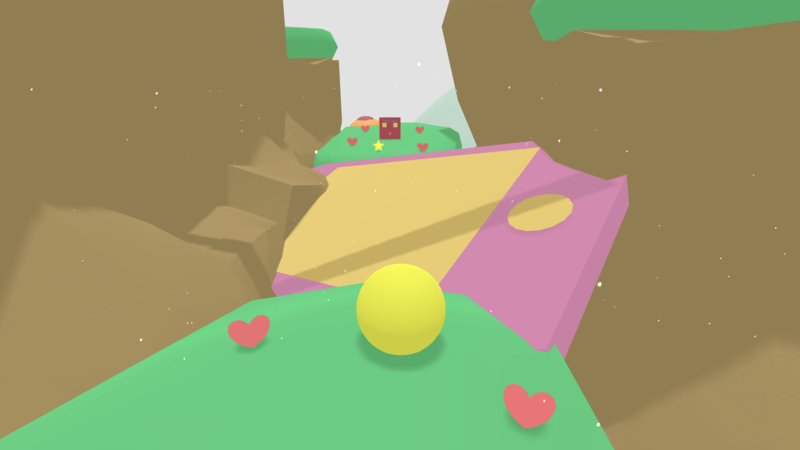 Super Lovely Planet is available from Steam and the Humble Store, carrying a $9.99 price tag.